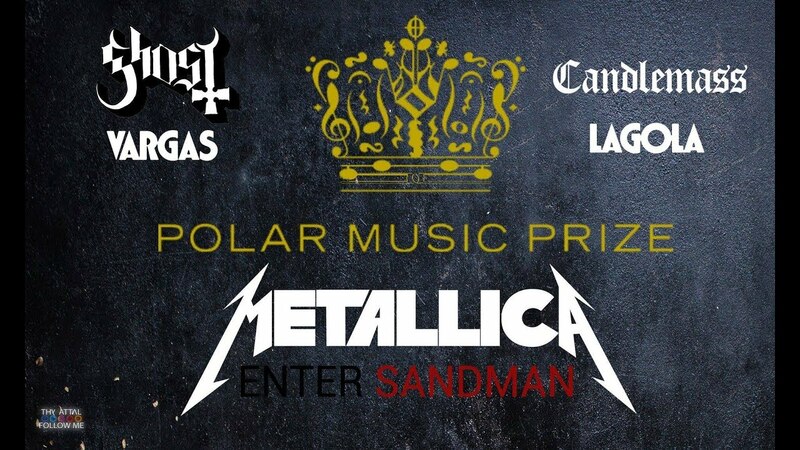 Several artists honored the Laureates during the evening; Aryana Sayeed, Loreen, GHOST, CANDLEMASS, Vargas & Lagola, MONEYBROTHER with Seek & Destroy, Dennis Lyxzén, Mikkey Dee, Loney Dear and Tuva Syvertsen. The host of the evening was Swedish mezzo-soprano and journalist Boel Adler. 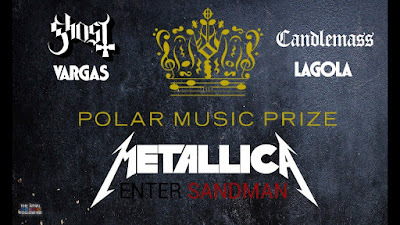 GHOST and CANDLEMASS version of METALLICAs "Enter Sandman" is a marvelous piece, so enjoy today's cover!